It`s not easy to drive your site to the top of the search engines when you`re just starting out. All these popular bloggers will tell you to build amazing backlinks. They can maybe get backlinks from some of the biggest and most popular sites in the world, but you don`t have a chance in hell of doing the same thing. You might get one or two if you`re lucky, but the people giving you advice don`t remember how hard it is when you`re starting out. I don`t want to rain on your SEO parade because there are still some things you can do, but you just need to tackle your link building campaign differently. You know you shouldn`t be building backlinks on spam sites because it will hurt your rankings, but just because a website isn`t hugely popular doesn`t mean you should ignore it. Let`s look at some of the easy backlinks you can build before you start tackling some of the monster ones. When you look at some websites you should be able to tell if they`ll eventually become successful. If you get a backlink on one of those sites it might not affect your rankings too much at the moment, but in a few years` time it will be much more powerful. Submit a guest post to a huge site and they might say no because they get so many requests per day, but submit one to a site that isn`t popular yet and there is more chance of them saying yes. It`s easy to build backlinks on a forum, but only if you`re sensible about it because they don`t like spammers. The great thing about forums is the amount of traffic they get every day. Drop in certain links to your website and you won`t just get a backlink. 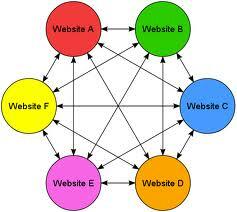 It will also help to drive traffic back to your site. If you`re going to spend time building up a reputation before you start leaving links you should make sure you don`t waste your time on a forum that doesn`t get much traffic. Some people try to aggregate the best content from around the web. You just need to get in contact with them when you write a great article and they might add a link to your site. Scoop.it is becoming popular at the moment and you might be able to find someone who is in your niche. Blog directories are very popular as well and you can submit your site to them in a few minutes. Technorati and Alltop are good ones to start with. Don`t run away to start commenting just yet because you need to be careful. If a blog has CommentLuv installed it means you will get a do follow link back to your own site when you leave a comment. You will also get a link back to your latest post, so those blogs are definitely the ones you want to target. It doesn`t mean you can`t leave comments on blogs that don`t have CommentLuv installed, but you should use them to build relationships instead of higher rankings. When you start building backlinks it`s easier to target the ones we`ve talked about today because you will actually feel like you`re making progress. You can still target the more powerful backlinks at the same time, but each step you take in the right direction will drive you further forward. Just remember to stay away from the spam sites because they will hurt you rather than help you.